TORONTO, ON – Black Oak Brewing has announced the return of a limited edition seasonal beer with a name that nods toward the long and dark nights of the quickly approaching winter season. Strong and smoky on the palate, dark as night in colour, our Nox Aeterna Smoked Oatmeal Stout is brewed seasonally using flaked oats and locally roasted coffee. Reminiscent of a campfire, smoked malts combined with flavours of chocolate and espresso add a strong and distinctive flavour to this deliciously complex brew. 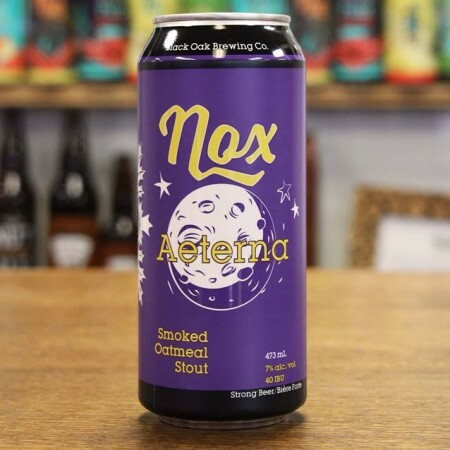 Nox Aeterna is available now in 473 ml cans at the Black Oak retail shop and online store while supplies last.